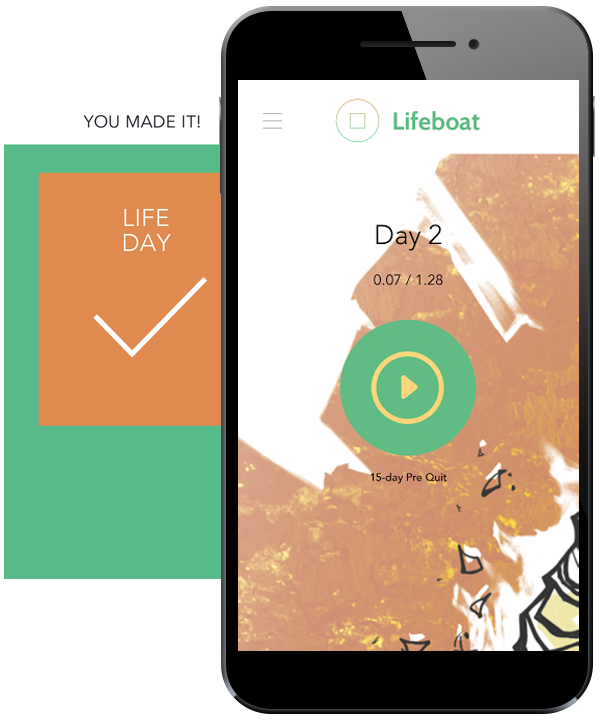 Mindfulness and science combined into the most extensive quit smoking app. Listen to a session every morning, build motivation, and quit smoking for good. I’m 7 days in and I can already feel my motivation growing. Looking forward to Life Day! The most important part of Lifeboat is your daily audio session. We set an automated reminder for every morning. Listen to the session, have some breakfast with it – take your time. This will give you motivation for the day, as well as actionable tasks that will improve your self-esteem. We aim for this combination: making peace with what you are doing, preparing for the day by analysing and breaking routines, and taking out the physical dependance and urges that come with it. You don’t quit smoking overnight. At least not if you want to succeed. With a slow but steady growth in motivation you work up until that day, and have a plan for the weeks after. Choosing the day you will quit can be hard. 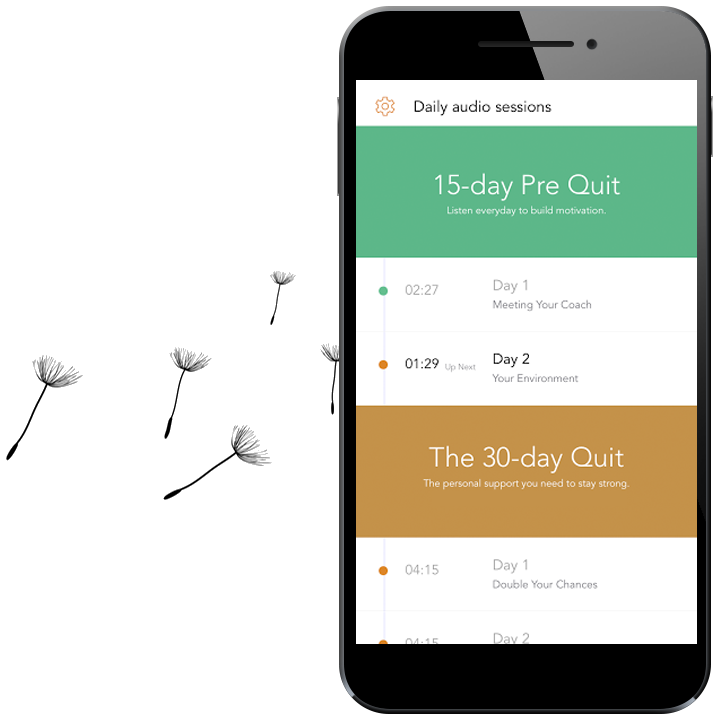 Lifeboat offers the 15-day Pre Quit program as a preparation, based on insights from both mindfulness and science. Step by step, day by day, we will work together on your preparation for Life Day – the day you will quit. Building motivation, breaking routines, setting up several support pillars for you – and get you ready for Life Day and the days after. It’s not easy, but everyone CAN do it. We will guide you through. 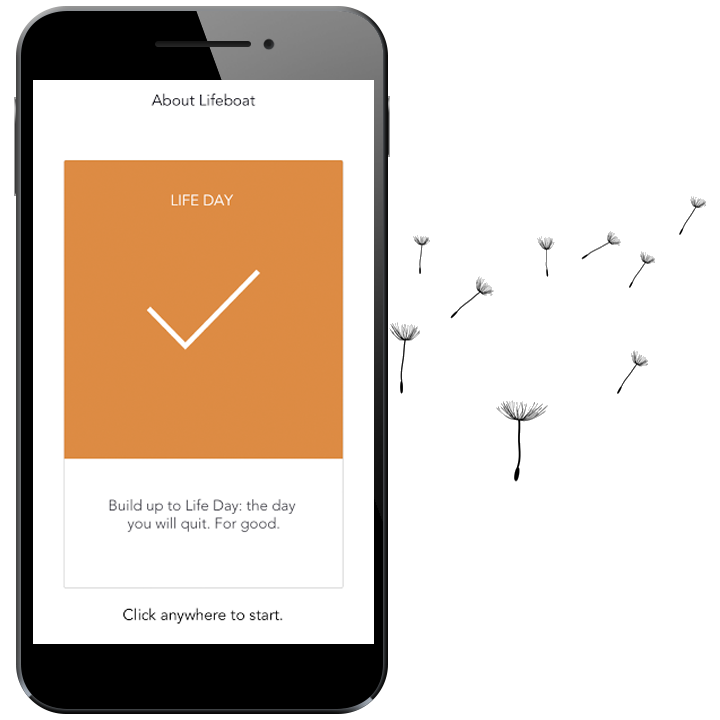 After Life Day, you can choose to activate the 30-Day Quit program. Your coach will continue to support you with a daily audio session for 30 more days – to make sure you succeed. Now let’s get you in the program. Download the app. The 30-day Quit Program hosts several guest sessions from health professionals. "Studies indicate that smokers who use a combination of coaching and counseling along with cessation medications are two to three times more likely to quit than those who try to quit without help."